GEO's 20th Annual Conference was open to all individuals interested in attending the event. Registration fees are based on an attendee's GEO membership category and status at the time of registration. For your convenience, we have several registration options available. Please note that registration fees must be paid in full by the deadline to receive early discounts. The year-long celebration opens with All the Rembrandts, in which the Rijksmuseum will present for the first time an exhibition of all 22 paintings, 60 drawings and more than 300 of the finest examples of Rembrandt’s prints in its collection. As well as holding the world’s largest collection of Rembrandt paintings, the Rijksmuseum collection offers the world’s most comprehensive and representative overview of Rembrandt’s work. 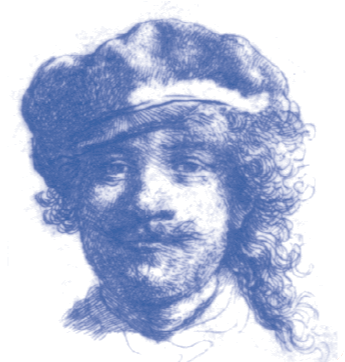 Given the extreme rarity and delicate state of many of the drawings and prints, All the Rembrandts offers a once-in-a-lifetime opportunity to explore Rembrandt the artist, the human, the storyteller, the innovator. GEO guests will enjoy a leisurely canal boat ride to and tram ride back from the Rijksmuseum. This event is inclusive and open to all GEO delegates* and their guests. Please contact us to register your guest (guest fee applies). *The event is complimentary for all registered issuers and Rijksmuseum Private Event Partner firm registrants. Provider registrants who are not Rijksmuseum Private Event Partners should register for the conference at the Provider NonPartner rate. To receive Partner conference pricing, please register using the discount code included in your firm's Event Partner agreement. Continuing Education: Please visit GEO’s Continuing Education Guidelines for more information on earning education credit.